Did you know teachers often spend weeks every fall re-teaching material already covered the previous spring? As a result, they worry about the new material they can’t get to, and their students may end up feeling bad because they sense their teachers’ frustration—Definitely not the most motivating way to start the new school year. So what can you do this summer to keep students’ minds challenged? Plenty, it turns out. The secret is a little effort consistently invested. The goal is to make it fun and competitive for your summer-loving students so they engage their ever-buzzing brains: Think of it as daily life, enriched. In case you’ve been just a little too busy having a life to remember, STEM stands for “science, technology, engineering and math,” and it’s been one of the biggest educational initiatives, in the U.S. and around the world, for years. But why does STEM matter? What’s all the fuss? On a global level, STEM defines the power to compete in the 21st century. We’re aware as a nation that the 1957 launch of Sputnik also launched the massive infusions of funding and commitment which allowed us to lead the world in science and technology with the moon landing. Almost 50 years later, however, our high school math and science scores lag behind those of some developing countries, and U.S. companies routinely recruit computer scientists and engineers from abroad because they say they can’t find qualified professionals here. In the meantime, the expansion of knowledge and the ever-increasing pace of innovation make it even more critical for more U.S. students to receive more STEM education earlier if we hope to compete at all, not to mention if we hope to contribute to solutions to planet-wide challenges like climate change and persistent poverty. On a national level, the U.S. Department of Education has announced the following on its website: Along with 12 other agencies, it has formed the Committee on STEM Education (CoSTEM), to foster an integrated national strategy for greater impact through federal funding to these areas: “1) improving STEM instruction in preschool through 12th grade; 2) increasing and sustaining public and youth engagement with STEM; 3) improving the STEM experience for undergraduate students; 4) better serving groups historically underrepresented in STEM fields; and 5) designing graduate education for tomorrow’s STEM workforce.” https://www.ed.gov/stem. On a local level, we can learn how well our schools are addressing the critical need for STEM education by visiting their websites and others such as www.stemedcoalition.org and https://code.org. We can also volunteer our time and talent to community groups striving to expand STEM education. On a purely personal level, we can bear in mind that STEM jobs have historically afforded people with those skills more pay and prestige than have others, which has allowed them to enhance their families’ quality of life, sometimes for generations. On a political level which is just as personal to millions in the U.S., we can push for making STEM education more accessible to women, minorities and the working poor as a path to upward mobility, providing greater financial security for our descendants, as well. In 2015, President Barack Obama said “[science] is more than a school subject, or the periodic table, or the properties of waves. It is an approach to the world, a critical way to understand and explore and engage with the world, and then have the capacity to change that world…” That is the essence of why STEM matters, this semester and every semester, into the foreseeable future. Call MASTERS Plus today at 708-798-8400 for information about tutoring in STEM, including robotics! Q. How does reading comprehension connect to success? 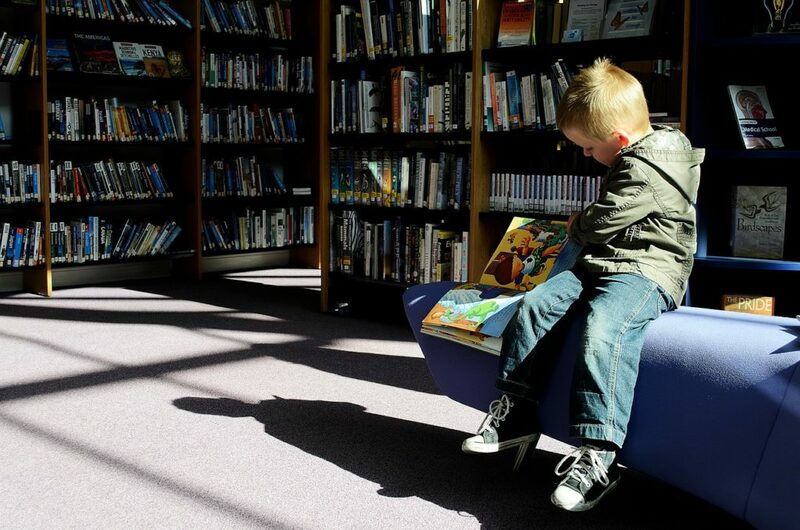 Q. Won’t my elementary school child just get better at reading as she progresses grade-by-grade? Why would she need reading comprehension tutoring? Q. My child is going into high school now, but he was on the honor roll in middle school, and he learned to read in kindergarten. Why is he starting to struggle with school now? Interested in learning more? Call 708-798-8400 today to see how MASTER’s Plus can support your student’s growth and academic success. HOW TO STAND OUT FROM THE CROWD WITH YOUR COLLEGE ESSAY! As the owner of a tutoring center that specializes in ACT/SAT and College Prep, I have learned from years of experience that writing personal college essays isn’t every student’s strongest attribute. The process of organizing and writing a college essay can be a very stressful and sensitive time for students. They often struggle with what information that they should or should not include within the essay and what information will allow them to stand out in the sea of applicants. Aside from your students transcripts, standardized test scores, community service, recommendations, and achievements; their college essay is the next most important element of their application. If your child plans to pursue higher level education they will have to be able to jump over the writing hurdle and dive into it! Though there are many tips you may find online, here are some proven ways that your child can “WOW” college admission counselors and gain acceptance to the school of their choice! Every college is looking for the best students to attend their school. Admission counselors are seeking students who are overall good students and strong writers. The ability to tell a great story through writing is what they are seeking from their top applicants. How can your child separate themselves from thousands of other applicants? By finding ways to tie their personal interests and education goals within the essay question. Be sure to stay away from statements such as, “I want to study here because you are on my Top-10 List” or “I want to study here because you have XYZ major/minor.” There is no “magic” right answer. Students need to be genuine in their answer and make a personal connection between themselves and the university. Admission counselors read thousands of essays during admission season. They are looking for essays that are attention grabbing, creative, and interesting to read. The essay should help to highlight their character and genuine passion for the field that they wish to pursue. Students should show how their desire to attend the university aligns with the universities core values. Your student can learn more about the university by spending time researching their website and/or scheduling a college campus visit prior to writing the essay. Being able to truly visualize themselves on campus and becoming a part of the student body helps to create the desire to attend the school. Oftentimes, their passion is shown in their personal statement when they give the reason for wanting to attend the university. The best colleges are seeking and recruiting students who show promise in areas that are of high economic growth and demand for the university. 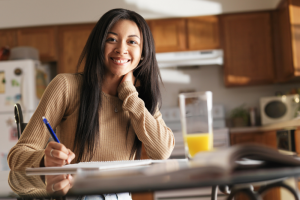 Your student’s personal essay gives them the opportunity to share information about themselves that may not have been able to shine through in the rest of their application. If your child has experienced personal hardships such as loss of a family member, disease, or poverty, it may explain inconsistencies within their application. College Admission Counselors warn students to carefully select the information that they wish to share. They also don’t consider divorce or failing a class because it was difficult, as a personal hardship. Encourage your child to broaden their essay range by finding a way to voice their strengths and weaknesses to add balance to their piece. Make sure they focus on the positive factors! Remember your student only has one chance this year to make an impact on the counselors reading their application! Admission counselors only spend about 3-5 minutes reading essays. Be sure to make your student brainstorm their topics first and write rough drafts for all of their essays. Additionally, once their essays are written and completed, go back through and check for grammatical errors, inconsistencies, and areas of weakness, that need to be improved before submission. We don’t want to submit essays that are filled with errors. Your student’s college essay content should strengthen your child’s chances of being accepted in the university/college of choice, not hinder it. And as always, if your student can use additional prep for the ACT/SAT, College Prep, or Essay Writing please be sure to bring them to MASTERs Plus Tutoring, where we specialize in all this plus more. If you can feel your anxiety over your student’s grades starting to rise with the outdoor temperatures, just try to remember that April and May still offer plenty of weeks for a turnaround. Students can end the school year in triumph instead of despair. So, what’s the plan of attack? Here are some time-tested strategies – plus a special opportunity – to help young scholars conquer their coursework and win confidence in their own abilities when they’re put to the test. Teachers, too, will generally remember what was most challenging for students the first time around, so they devote more class time or give special homework to help students master those things before the final. They may make themselves available outside of class more often to students who want to lay hold of their second chance to learn the material and raise their grades. Good teachers are like coaches leading their players to victory through joint effort throughout the year; when their students “win” on a cumulative final, teachers also enjoy a championship season. So encourage your students to appeal to their teachers for answers, advice or just plain encouragement every chance they get. The good teachers want to help their “players” soar; the good players know that their coach is there for them but can’t make the basket or run the 440 in their place. With sustained effort and the right strategies, your student can experience more victories and far fewer defeats. environment.” For students, that starts with organization—of study spaces, of learning materials, of lecture notes, of resources—and is built on effective study skills. If the inside of your student’s backpack looks like a tornado blew through it and school papers lie scattered through your house like fallen leaves, that doesn’t exactly spell “A” for “academic success.” If your student spends hours and hours “studying” but can’t demonstrate basic mastery of essential course skills, those study skills are simply not effective. What can you do? First, don’t give up, because whatever doesn’t come naturally, to you or to your student, can still be learned. And wouldn’t you rather your student learn organization and study skills now…rather than in college? Resources for acquiring these habits and skills abound. Simply do a quick Google search: The website www.wikihow.com/Improve-Your-Grades, for example, addresses study skills in detail through cartoons (especially good for younger students). You can encourage your student to work with high-achieving study buddies; people can “catch” good habits and skills from others by being around them and imitating them. You can also get a tutor at MASTERs Plus who will offer personalized instruction in study skills. Just call 708-798-8400 to enroll today. Because our students are so curious, so talented and, therefore, so involved in extracurriculars, they often find their energies depleted before they even get down to work on those science formulae, math equations or Spanish verbs. In short, because they have not prioritized schoolwork as school’s main activity, they do it poorly, and their grades begin to reflect that. Grades clearly indicate the huge difference between just occupying a seat in class and actually learning what was taught; between dashing off the homework and actually checking it; and between leaving your midterm study guide untouched for weeks and actually completing it ASAP so that you can show up to class with questions. 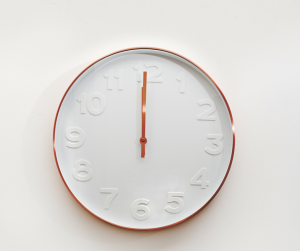 “Time” management is really just energy management, to allow us to give our best energy to our highest priority, which for students is…yes, studying. Does your student understand that mastering the course material is the “job” right now? Does your student make that a priority? Do you? No young (or old) person will be “on the job” all the time or always do it perfectly, but if school is the priority, then students must dedicate enough time (energy) to doing the job well and even getting better at it. When they don’t, whatever activity or plaything that is distracting them should be limited or removed until they do. In the working world, people who don’t do their jobs tend to lose them and end up missing out on many activities and playthings because they can’t afford them. Tools for time management include student planners (digital or paper) and even huge wall-charts with different colors representing high- and low-priority activities. Students can then see where their time is going and realize that they can redirect it. If they do prioritize studying and raise their grades, don’t be afraid to reward their effort. 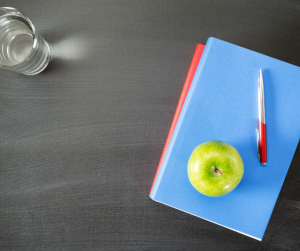 Adults who prioritize their jobs get recognition, bonuses, or other rewards, so why shouldn’t students? Just make sure you do it with a “currency” they value: Don’t put your introverted, image-conscious 13-year-old through a “sing-along” celebration at Applebee’s! Having a MASTERS Plus’ expert tutor work with your student one-on-one can be of great help anytime of the year, but especially as time ticks down to the end. Tutors are trained and experienced at recognizing your student’s strengths and weaknesses, your student’s learning style, and your student’s preferred way of being motivated. We can quickly perceive obstacles to learning and their causes, and we can recommend efficient steps to take if students are willing to take them. We also build on our students’ successes to empower them to achieve. We tutor in all subjects, including the ones on the national Advanced Placement (AP) Exams coming up in May. And now, the special opportunity: Because we want our community’s students to finish strong, we are offering a new program, “Exam Study Groups.” Here’s how it works: From five to eight students from the same class are invited to come in as one study group for an hour, and one of our tutors will review with them all concepts on a teacher-provided study guide. The cost to each student? Only $15. To enroll, please call MASTERs Plus today at 708-798-8400—We expect these sessions to fill up quickly. If you found this post helpful, be sure to sign up for our newsletter and follow us on Facebook and Twitterfor more test taking tips, news and discounts! Our last blog entry was a detailed rundown of the revamped SAT, followed by the promise of a look at recent ACT changes and the suggestion that your student should consider taking both tests. But if that sounds like more time, money and student energy than you want to invest, bear with me while we briefly compare the tests and cover the new ACT; then, I’ll explain some ways your student can take both and still save the time, money and energy that we’re all trying so hard to juggle. For an SAT/ACT comparison in a nutshell, you can glance at the handy chart at www.princetonreview.com/college/sat-act, to remind yourself of the major parts of college-admissions tests. Done? You will have noticed that, unlike the SAT, the ACT has a science test that aims to test not concrete science knowledge but critical-thinking skills. Both tests take roughly three hours and have optional essay sections of roughly comparable length, but each test’s essay section requires a different writing task. 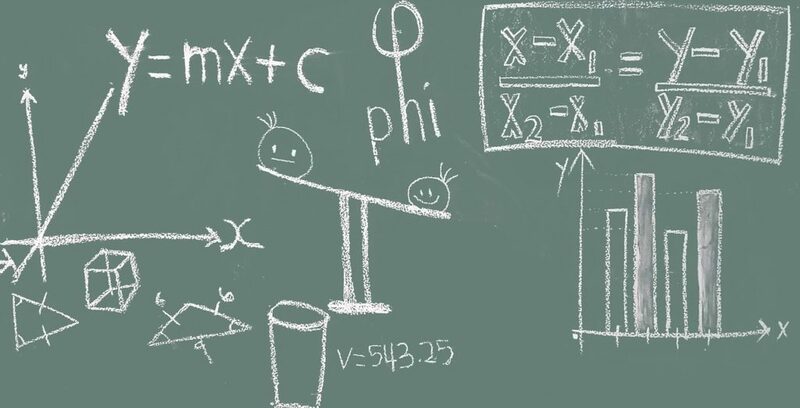 On the math section, the ACT allows calculator use throughout, but the SAT only allows it on certain questions; another difference is that the ACT does not test data analysis, while the SAT does. Finally, you will have seen that the composite scoring ranges are wildly different: SAT scores can go from 400 to 1600, but the ACT is scored from 1 to 36. Click to Tweet: So, what are the recent changes to the ACT? One is that students will receive more individual feedback; four new subscore categories will now be reported: an English language score, a Progress Toward Career Readiness indicator, a Text Complexity Progress Indicator and a STEM score. As your student prepares to make the transition from high school to college, the SAT and ACT entrance exams are important milestones along the way. Knowing what to expect from these tests can make both generations of your family feel more confident and in control at a time when so many other aspects of life are changing. So let’s begin with the SAT Test, which has gone through some big changes that take effect in March 2016. One of the biggest is that students will no longer lose points for wrong answers, so we should encourage them to use their very best thinking and then choose boldly. Several other changes in the SAT Test are research-based so that the test aligns better with skills students really study in school and skills they will actually need to succeed in college. For example, instead of requiring students to demonstrate mastery of a long list of “college” words, some of which were absolutely arcane, the new vocabulary section requires students to demonstrate understanding of words in context, which is how they most often learn words day-to-day. If it seems that your student’s mind has been somewhere else since the dawn of the New Year, you aren’t alone. This is the time of year when high school juniors and seniors begin to feel the pressure—when going to college starts to feel less like a distant dream and more like a looming responsibility. Even if the letters of recommendation are written and the applications are filled out, many students are still asking themselves one big question: How can I get the ACT scores I need before it’s too late? And that is a good question to ask. The truth is that many of the most competitive higher-ed programs in the country won’t budge on their ACT (or SAT) scoring requirements. Of course, that doesn’t have to be a problem. For most students, these scores can be quite attainable. What it takes is little effort and a big ACT Prep plan. So what are the options? 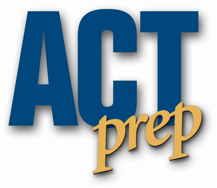 How my student put together an ACT Prep plan that works—one that is guaranteed to boost their scores and earn acceptance to the school of their dreams? That depends on how much time you have before the big moment. As the dust of the holiday season begins to settle, many of us have begun looking to the New Year as a chance to become the best versions of ourselves yet. These are the moments when we resolve to be more spontaneous, get in better shape, or rekindle old friendships—all admirable goals by any measure. But wouldn’t it be great if 2016 was the year that we made a new kind of resolution, an academic resolution? There are many ways that we and our children can plan to make this year in the classroom the best one yet. Whether that means finding ways to be more engaged in the material, making education a hobby, or otherwise, we challenge you and yours to add one more resolution—an academic resolution—to your list in 2016.